Home / Baseball Philosophy / Becoming a good baseball player is like going on a road trip! 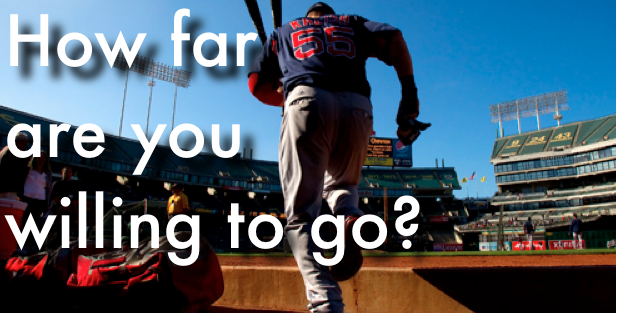 Becoming a good baseball player is like going on a road trip! We all want the secret to becoming a better baseball player right? In today’s baseball question Jason is wanting to know just that as well as what he should do when he wants to just give up! I think I’m about to hang em up! I’ve I just found out that I won’t be starting for my university this year during individual meetings and I’m really discouraged. I struggled during fall ball last semester. The truth is I feel like I’m not getting any better. I train and practice more than most players I know and yet I have very little to show for it. Easy Jason…….never give up! Yes, it may be easier said then done but if results or lack therof is what is getting you down here is a great metaphor for easing yourself in the process of taking chances, being patient, and doing what needs to be done in order to become the best player you can be. I hope this helps Jason!